Best combi boilers lists change every now and then, especially with how manufacturers are trying to come up with new innovations and designs to improve the reliability and marketability of their product. But, these models from three of the leading boiler manufacturers in the UK seem to dominate the top 3 list of most review sites for 2017: (1) Worcester Bosch Greenstar 24i, (2) Vaillant ecoTEC Pro, and (3) Ideal Vogue Combi. 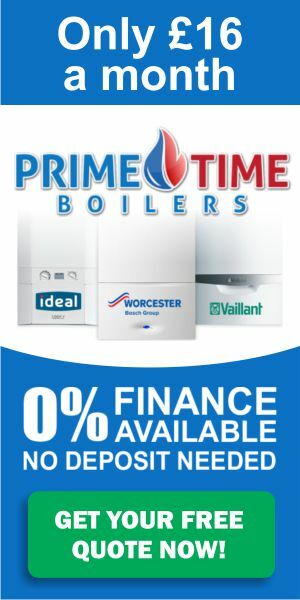 Greenstar 24i from Worcester Bosch is considered one of the best combination boiler available in the market nowadays. Its rated output is up to 24kW, making it well suited for small to medium-sized homes. The boiler also comes with a simple controller and a digital display for quick viewing of operation settings and information. Externally, Greenstar 24i comes in a steel casing that cleverly conceals the pipes going in and out of the boiler, which gives the boiler an elegant and sleek look. Given this design, the registered installer must first do all the pipework before finally mounting the combi boiler on the wall. Greenstar 24i is also dubbed as one of the best combi boilers in the market these days because of its plug-and-play accessories. As expected, the optional interval diverter valve kits and the mounted controls are attractive to the more tech-savvy homeowners. With all its functionalities and additional features, choosing the Greenstar 24i over some other boiler brand is quite easy to make. Not lagging far behind is the state-of-the-art combi boiler from top boiler manufacturer Vaillant, ecoTEC Pro. This is considered as one of the best combi boiler in the market on the basis of performance, quality and reliability. Vaillant’s approach in design engineering is sleek and simple, that is, produce high performance compact combi boilers that suit the requirements of a house with limited space. Vaillant’s ecoTEC Pro is designed to provide on-demand hot water to multiple taps for simultaneous usage. It also has a built-in frost protection system, which keeps the boiler at optimal operating condition even with minimum load. Vogue is the latest combi boiler model released by popular UK boiler manufacturer Ideal. Like the first two best combi boilers in this list, Vogue also provides high-reliability performance. It is also designed to be silent and compact, such that it can be discreetly installed in the kitchen or in the bathroom. In addition, Vogue also comes with a 7-Year Warranty guaranteed by Ideal. This guarantee from a world-class manufacturer has made the product a top choice for homeowners who do not wish to spend additional money on boiler replacement insurances and service covers.